Mike is the joint founding partner of Silcock Leedham LLP, now Silcock Leedham Consulting Engineers Ltd and is responsible for the success and excellence of the business. He is a degree qualified chartered mechanical engineer with over 28 years experience in the construction industry in both the contracting and consulting sectors. Mike has concentrated on developing credible and commercially balanced sustainable and low energy design solutions that can be applied to many sectors, resulting in a number of high profile appointments for UK and International clients. 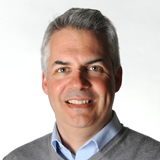 He provides strategic leadership for the teams within Silcock Leedham and is active in early concept design, fault finding and the validation of complex systems and projects. Bill, along with Mike, founded the business in 2001. He is a degree qualified mechanical engineer with over 28 years' experience as a consultant with a number of different sized practices. Bill has a strong technical focus and in addition to running some of our larger, more complex commissions, he also provides technical advice and input to our team of engineers. Bill’s experience is broad and he has worked across all key sectors with particular expertise in the food manufacturing, medical and education sectors. Leigh is a degree qualified electrical engineer. He began his career within the building services sector as an apprentice electrician with Crown House Engineering. He has worked in a variety of different roles including Engineering Manager for a major high street bank. 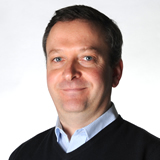 His 18 years of consultancy experience has been gained working for 7 years for a major M&E services consultant and for the last 11 years for Silcock Leedham. Leigh heads up one of two teams based at our head office in Leeds. 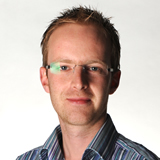 Leigh’s areas of expertise include data installations and telecoms and he has worked across all industry sectors. Nick is a degree qualified electrical engineer. His career has been a mix of contracting and consultancy and started on site through the design, installation and contract administration of various commercial and public building projects. He is responsible for the technical excellence of electrical and lighting design and overall engineering quality. He has particular expertise and interest in the design of electrical services for historic buildings. Nick heads up one of two teams based at our Head Office in Leeds that specialise in the museums, heritage and education sectors. Chris is an Associate with 16 years’ experience in the construction industry, 10 years of which was design experience gained across large scale private and public sector projects. Technical design capability and architectural appreciation is grounded by practical experience gained through a 4 year electrical installation apprenticeship. After qualifying as an electrician, Chris subsequently achieved a First Class Honours Degree in Building Services Engineering and Chartership status was achieved in November 2007. 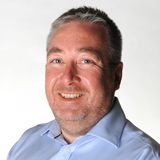 Chris has a broad range of experience covering all key business sectors and his responsibilities also include leading the electrical design on two university framework appointments. Gareth is from an engineering consulting background where he has over 14 years’ experience in the preparation of designs from concept through to project phases. He has a proven track record as lead project mechanical designer on a number of schemes ranging from £100k to £10m in M&E value. He has recently joined Silcock Leedham as an Associate Mechanical Engineer and will lead the mechanical design, working as part of Leigh Farr’s team. Gareth’s areas of specialism include the mechanical design co-ordination and preparation of intrinsically low energy engineering solutions, experience of renewable energy schemes and services and in leading design teams working both as part of a multi-disciplinary team and single discipline schemes alike. During his career with SLCE, Will has developed a zeal for creatively conceived buildings & the application of analytical methods within construction. The aquisition of established building physics consultancy, Zero Energy Design Ltd, to the Group provided an opportunity to combine the softer side of engineering with the hard edged technical processes now required of our industry, pushing building services and a sustainable agenda to the fore. Will now leads the team of sustainability, energy and modelling specialists within ZED, providing early stage advice on passive engineering, building fabric, the implementation of low impact servicing strategies & cost optimisation along with regulatory compliance and energy in use studies. He has worked on a number of high profile commissions throughout the UK, Europe and the Middle East. Chris is a degree qualified engineer and has 12 years’ experience within the Building Services Industry. Chris worked previously within the UK for Silcock Leedham as a mechanical engineer, as well as being a Director within the company's Qatar venture and office setup. In 2014 Chris relocated to the UAE, taking up a position as Associate Principal in the mechanical division of an international consultancy. He has recently re-joined Silcock Leedham to head up our operation in the MENA region. Chris is responsible for driving forward the business in MENA and developing brand awareness.